A high-quality LED TV from Samsung that provides an enhanced viewing experience through its contrast enhancer and ultra clean view features. The overall display quality is quite impressive and up to the high standard that Samsung sets for its LED TVs. The Samsung 49M6000 sports the PurColor and MicroDimming technology that highlights the blacks and whites clearly on the screen. With support for smart features and internet connectivity through the Samsung Smart Hub, the slim and sleek Samsung 49M6000 is one of the best displays out there in this price range. 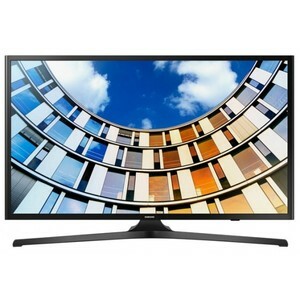 The Lowest price of Samsung 49 Inch 49M6000 LED TV in Pakistan is Rs. 82,999, and estimated average price is Rs. 82,999. The prices are collected from the best online stores in Pakistan like Shophive - updated Apr 2019.